Grigor put in the hard yards in Sweden. 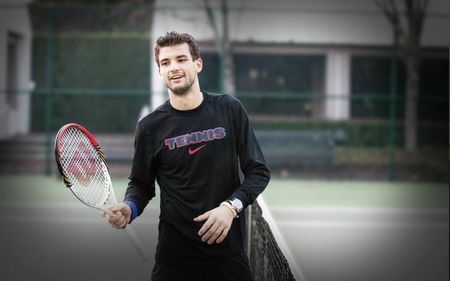 FROM THE BRISBANE INTERNATIONAL – Most players spend the off season training in warm locales, but Grigor Dimitrov went a different route, trekking up to Sweden to join up with the Good to Great Tennis Academy, which is run by former Roland Garros finalist Magnus Norman, and ex pros Nicklas Kulti and Mikael Tillstrom. At least this week in Brisbane, it has turned out to be a darn good move for the 21-year-old Bulgarian. He has been with the Patrick Mouratoglou Academy for the past four years and learned a lot under that coaching staff, but even though he ended 2012 as the youngest player in the top 50, he needed to change is attitude. He was very good on some days and looked lost on others.